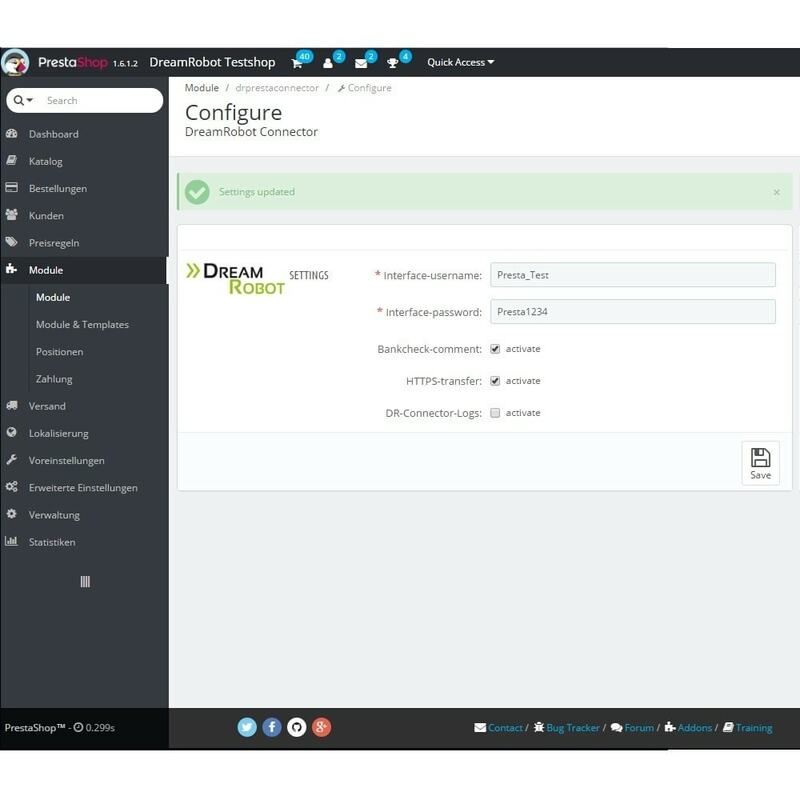 The DreamRobot Connector for Prestashop is used to connect your Shop to your online order processing client DreamRobot. Your orders will be automatically forwarded to DreamRobot. This will allow you to process all of your orders with DreamRobot as you're already accustomed to with other Portals. In addition you can update and add product details as well as stock and prices. Standard installation is performed via the Module Manager area of the shop back end. 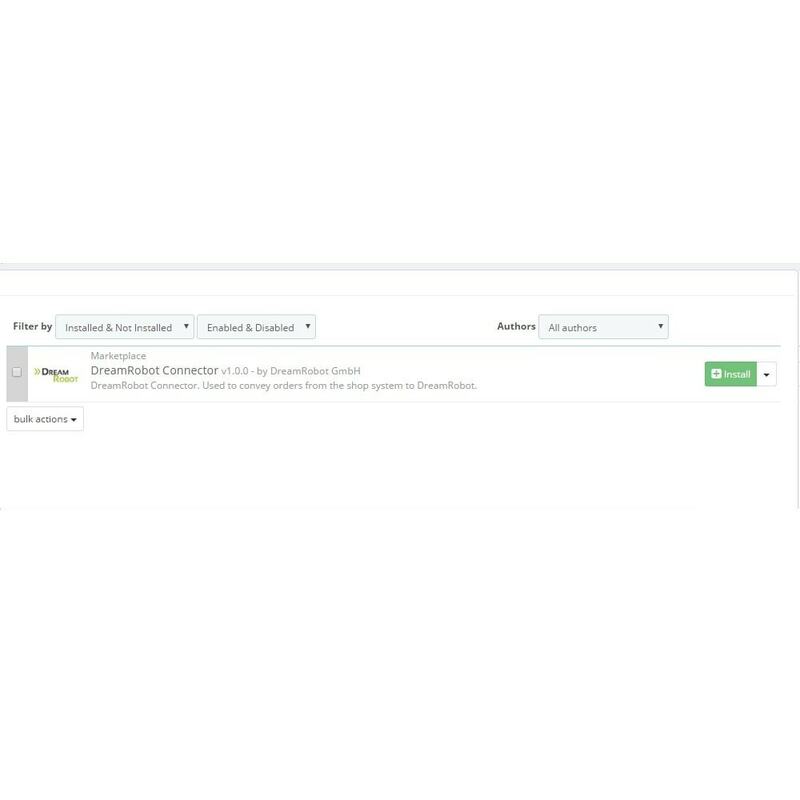 After successful installation you can save your DreamRobot Portal Account access data in the corresponding fields and set any additional options.